His voice is not for everyone. It’s raspy, raw and damaged which can turn some off. Yet, to others, it’s that very aspect of his voice that draws them in and makes them listen because on a visceral level, wether or not it’s true, a voice like Ellery James Robert’s makes you feel that this he’s lived a life, has had to slog through many tough times and most likely has some stories to tell. 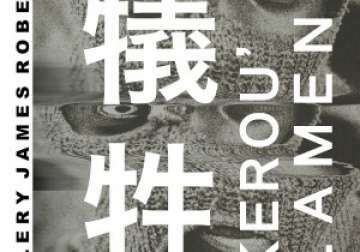 A few months after the sudden WU LYF break up, lead singer Ellery James Roberts has released “Kerou’s Lament.” The lyrics hard as ever to decipher. The emotion impossible to tamp down. The music soaring with synths sweeping behind his guttural chants that often read as pleads.